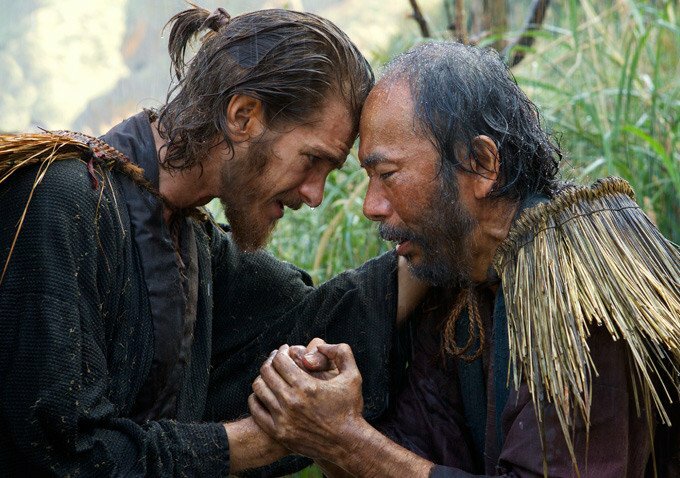 Silence tests more than its main character at such a daunting length, as Scorsese's technical command may not be enough to win over all audiences. When a Martin Scorsese production thunders into theaters, expect professionalism unmatched. 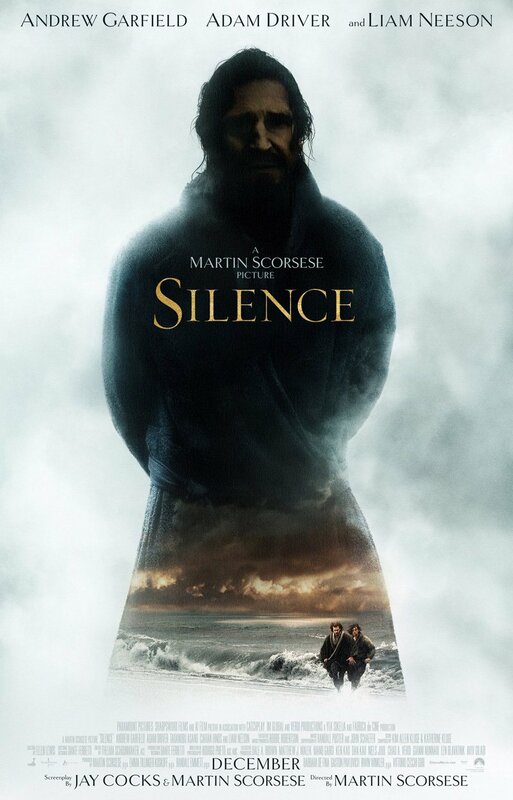 Even with Silence, a title I’m fairly mixed on, Scorsese asserts himself as a timeless visionary whose technical respect spans genres and generations. 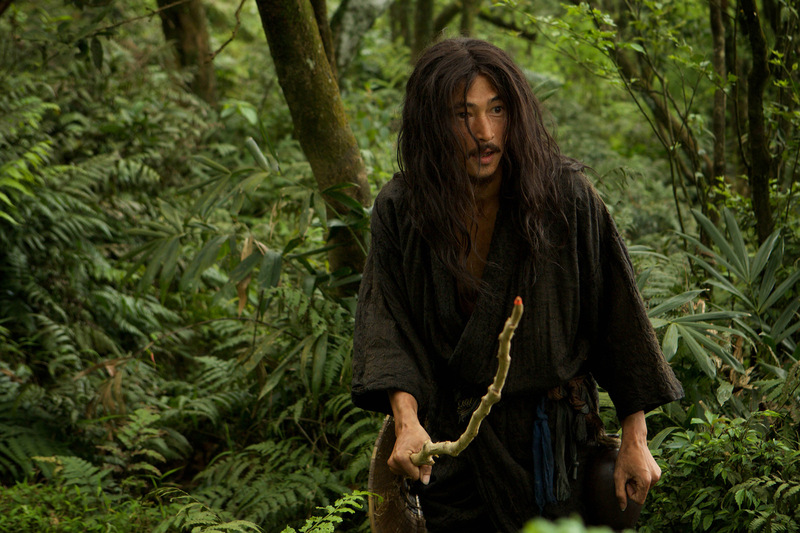 The film itself is a test of faith (in more ways than one), but meticulous craftsmanship quite magnificently evokes the lusty scenic cinematography and more emotive performances of old-school Japanese cinema. It’s broody and disciplined, soaked in the pungent style of foreign auteurs who molded Scorsese’s own love of film – yet overburdened by a downward spiral lacking fire and unforgiving features. Scorsese calls faith into play by invoking the spread of Japanese Christianity detailed in Shūsaku Endō’s 1966 novel of the same name. 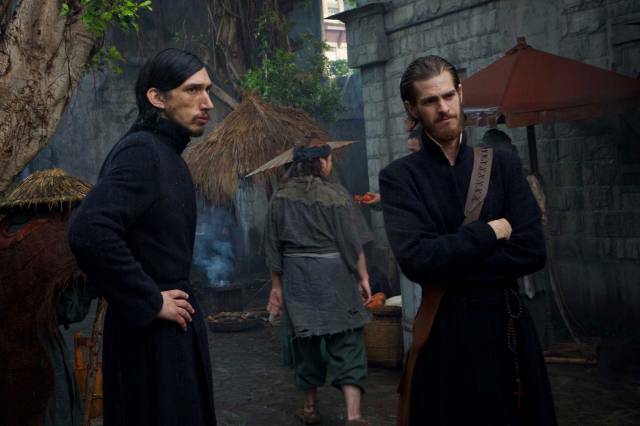 In it, a young Portuguese Jesuit (Rodrigues, played by Andrew Garfield) embarks with another padre (Garrpe, played by Adam Driver) to investigate their mentor’s denouncement of God. 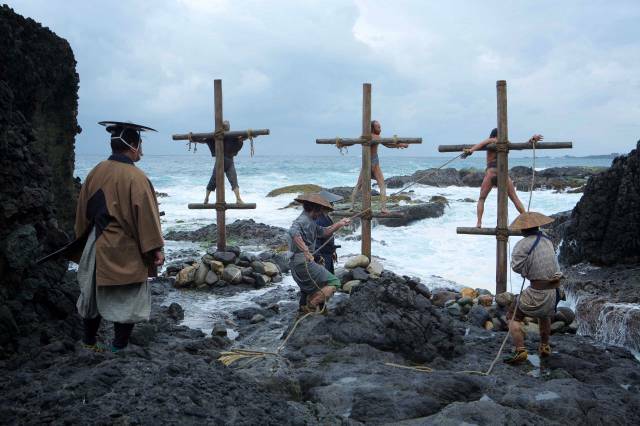 At the time (17th Century), Japan was punishing anyone who dared practice Christianity. Inquisitors would go village to village, rounding up anyone caught preaching Christian teachings or possessing incriminating symbols. This is the lion’s den that Rodrigues and Garrpe willingly enter, in the name of God, their father, and the hope that Ferreira (Liam Neeson) still lives to preach another day. Religion is but a veil that Scorsese peels back once Rodrigues separates from Garrpe, revealing more about human nature than theological truths. Rodrigues is a raging inferno of unquestionable faith that engulfs the very people he’s trying to enlighten, as they suffer for his “invasion” of Japanese culture. He watches as believers are drowned, burned at the stake and even decapitated, all the while praying to a “merciful” God who remains silent. To Rodrigues, there is only “one truth” (one religion), even while Japanese officials laugh in his face and tell him exactly why they’ll never accept his proclamations. This is a film about human will (or stubbornness), which is the very principle that wars are hinged on. I believe one thing, you believe the other – Silence goes on to say more about this phenomenon than any Japanese history lesson is worth. That said, the Japanese inquisition effort of the seventeenth century holds back no torment. Scorsese doesn’t revel in violence like he has before, but is sure to established how damning Christian beliefs could be. 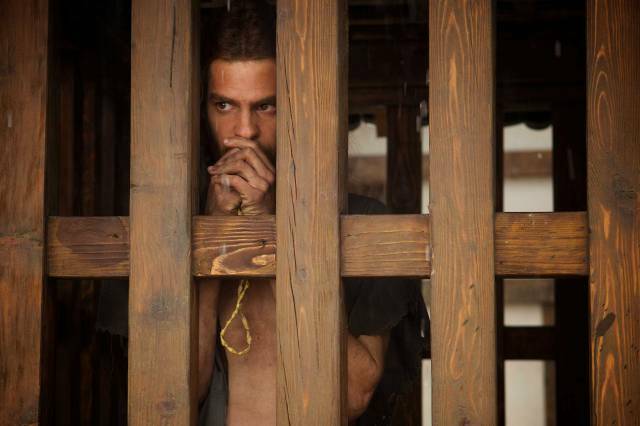 Scene after scene we’re subjected to Rodrigues’ imprisonment, and the followers he must watch perish. 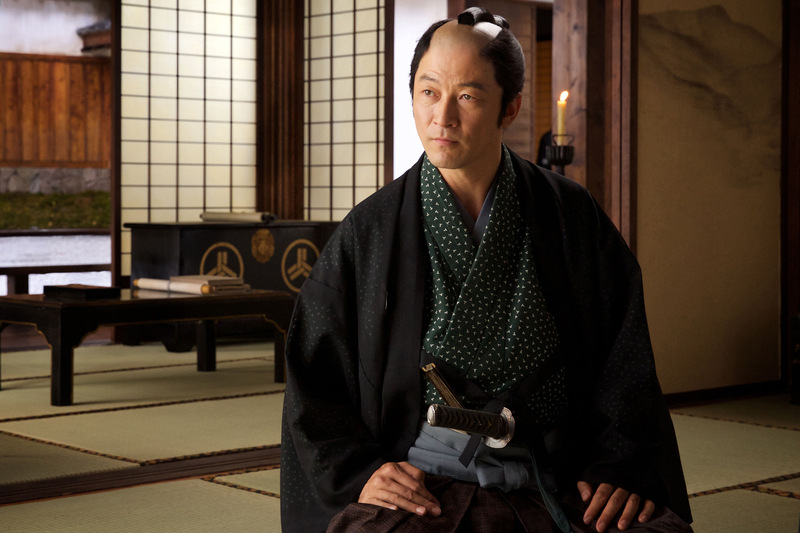 Inquisitor Inoue (Issey Ogata) understands that harming Rodrigues will never achieve desired results. A dead Rodrigues is just another corpse. Inoue must break down Rodrigues’ will to spread God’s message, and force submission to the Buddhist beliefs Japan holds sacred. 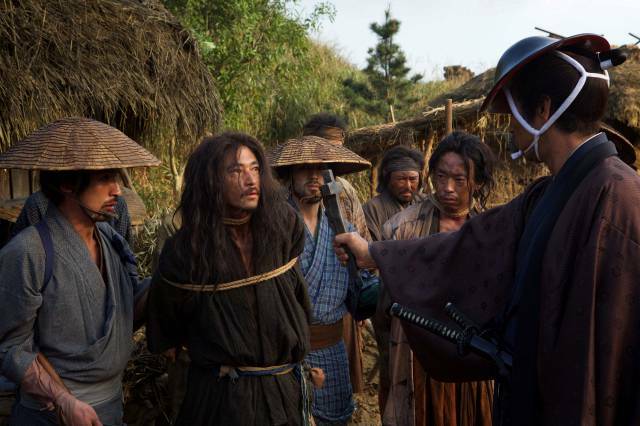 Each interrogation brings Rodrigues closer to the brink, making for a well-acted battle of wits between a pastor who’s slowly transforming into Jesus with each new inch of facial hair, and a Japanese tyrant, whose methods are far more devilish than his relaxed stature lets on. 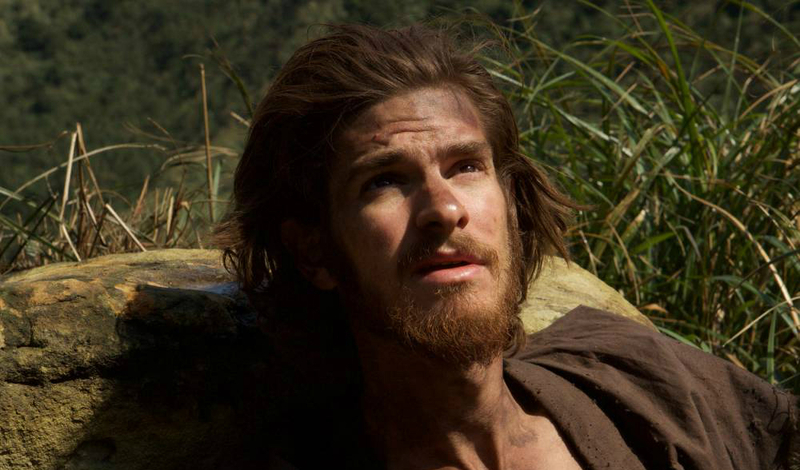 It is the performance of Garfield that Scorsese relies on, and while it may not be Best Actor worthy, Rodrigues’ crisis of conviction is a tumultuous deconstruction of religious commitment and personal uncertainty. Rodrigues keeps seeing (hallucinating?) the face of Jesus at different moments (most meaningfully in a pool of water), which motivates his ability to keep pushing forward despite Garfield’s unanswered cries for help and broken psyche. The deeper into trouble Rodrigues finds himself, the better Garfield’s performance becomes – most notably when he reacts to death threats with the most fearful severity, unlike the stone-faced Christians being held on trial next to him. He’s one with the cloak, but much more accomplished come the film’s crushing finale. Driver and Neeson appear as Scorsese’s other fathers, both in a far lesser capacity. 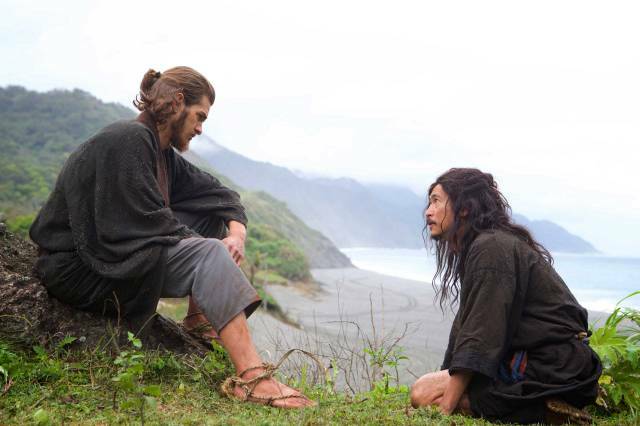 You’ll barely remember Driver for his baptism skills, but Neeson does notch a pivotal encounter with Garfield’s steadfast Christian leader during some last-ditch efforts concocted by Ogata’s Inoue. This puts more of an emphasis on Japanese actors like Ogata, Tadanobu Asano (an interpreter) and Yôsuke Kubozuka (Kichijiro, a flip-flopping Christian) – most of whom establish credibility, even if Kichijiro is more buffoon than co-star. 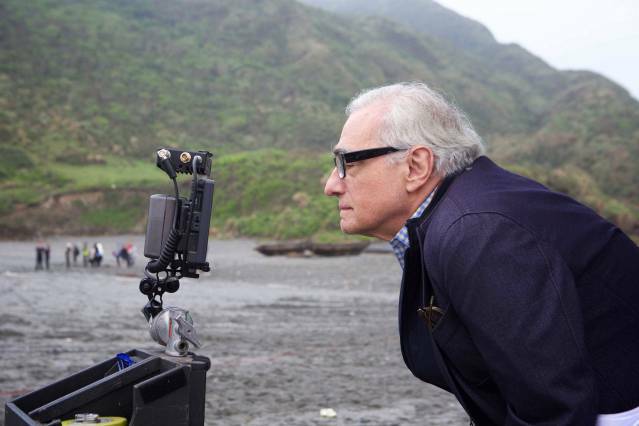 His existence is meant to define a relationship with God that’s more one-sided, but his continued attempts to cleanse the sins he repeatedly commits highlights a bigger issue with Scorsese’s latest tale – an inability to know when enough is enough. Silence is brilliant in its manipulation of noise and reverence in early Japanese architecture, but repetitive in practice. Scorsese has a much simpler story to tell than his 141 minute running time suggests, suffering a fate similar to Alejandro González Iñárritu’s The Revenant. Well, I shouldn’t say “fate” – that implies a negativity neither film deserves – but both stories rest on technical prowess that cannot support so much inevitability. 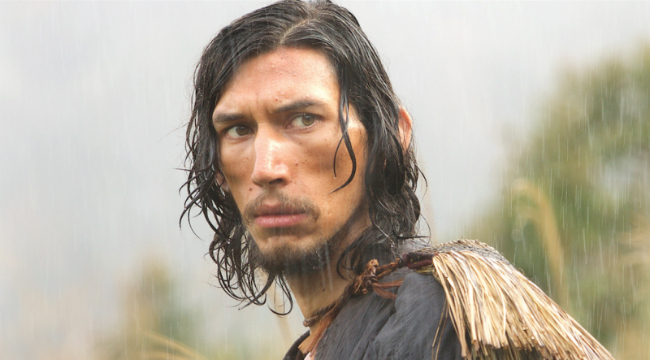 Rodrigues is challenged over and over, and while the steady build of atrocities remains watchable, Scorsese cuts dramatic tension by taking the long road. 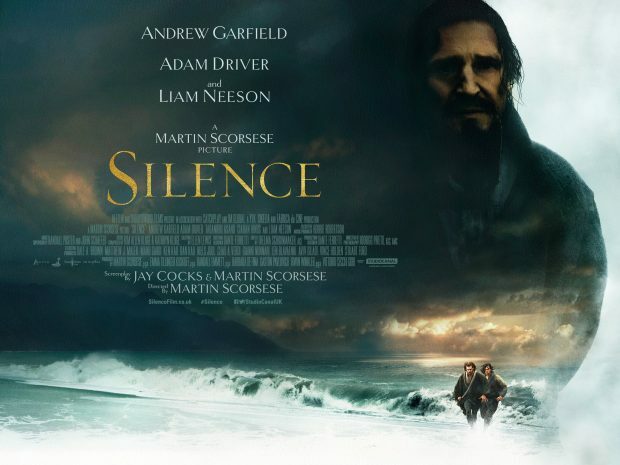 The film’s silence is undoubtedly deafening, yet not golden. 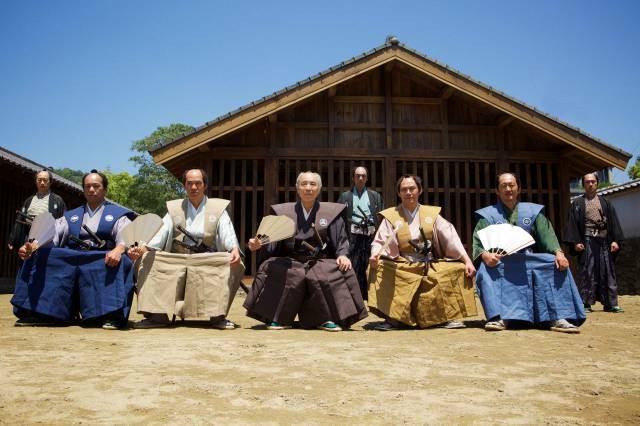 We get everything that’s going on – Japanese government officials rule with an iron fist, snuffing out opposing ideals with sticks and blades. Unfortunately, the film ends up playing the same whispered notes until they become numbing, only to advance towards more enticing drama once hope begins to waver. At times, Silence is a masterclass in understated sophistication that objectifies tone and tenacity. 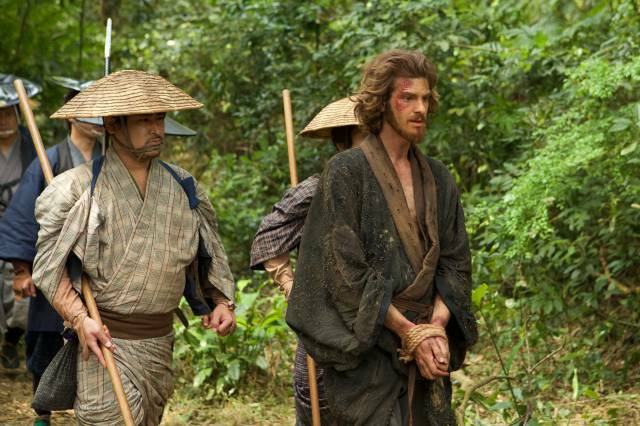 Andrew Garfield plays a steely priest searching for answers, Martin Scorsese paints Japanese landscapes with bloody, righteous devotion, and God watches “patiently” as his flock is cut down by wicked, spiteful men. Crickets and snapping twigs fill the background noise left by one man’s constant state of questioning, but there’s also tedium created through a story that seems to be saying the same things on repeat. Is it Scorsese’s best? Not quite. Just a somber take on devotion where actions speak louder than words.